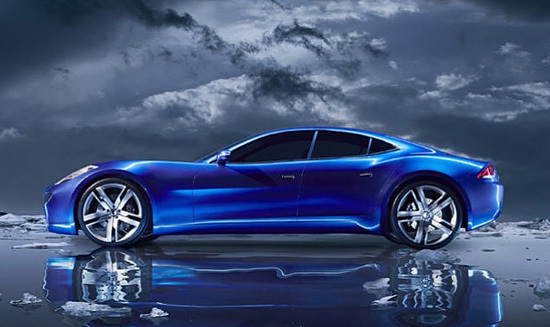 After rolling off the production line in Valmet, Finland the first of the factory build Fisker Karma sedans will make its North American debut next week at the LA Autoshow. The extended range electric vehicle is due to begin mass production in February next year out of the factory in Finland with customer deliveries soon after. 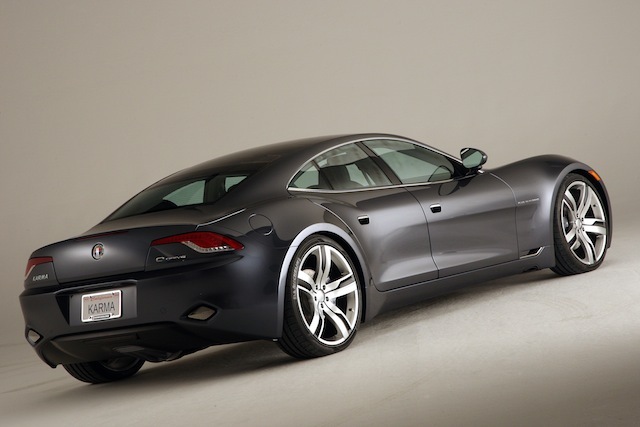 Fisker’s biggest competitor is expected to be Tesla, the Tesla Model S sedan will be coming after the Fisker Karma customers directly when it is released in 2012. 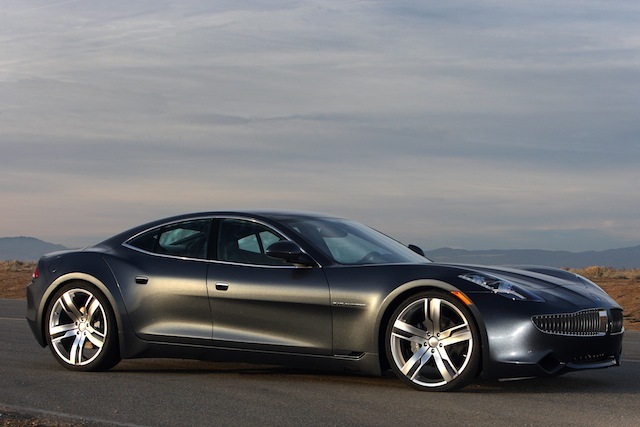 The Karma will sell for $87,900 USD before tax incentives in the US, making it a luxury car that will doubtless be very popular with the eco-chic residents of California, up until now we’ve seen many celebrities driving Toyota Priuses, it’s expected that many will step up to Fisker and Tesla cars as they become more widely available. 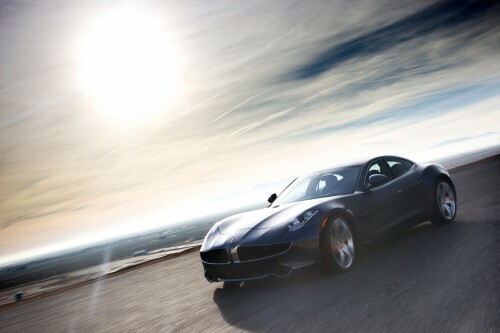 With 403 hp (300 kW) and 981 lb-ft (1,330 Nm) of torque at zero rpm the Karma can quickly reach Autobahn speeds, yet achieve better annual average fuel economy and lower CO2 emissions than nearly any other production car. The plug-in Karma sedan has a range of 50 miles on batteries alone with a total range of 300 miles when the onboard generator is used to recharge the batteries on the go. 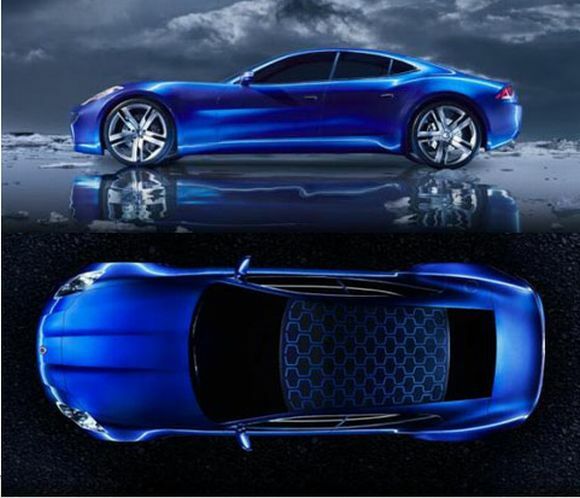 The drivetrain of the Karma is 100% electric with no linkage between the internal combustion engine and the wheels, making the car a range extended electric car, rather than a hybrid. 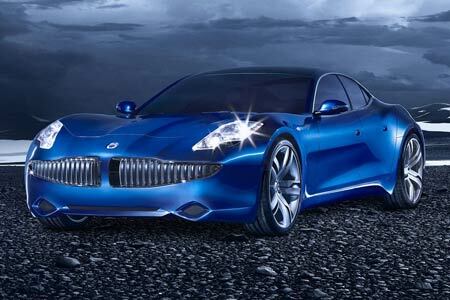 Fisker are also hard at work on their Project Nina cars, we’re expecting to see a coupe, a sedan and a crossover hitting the road in late 2012 or early 2013 at targeted price point of $40,000 USD before tax credits are applied. 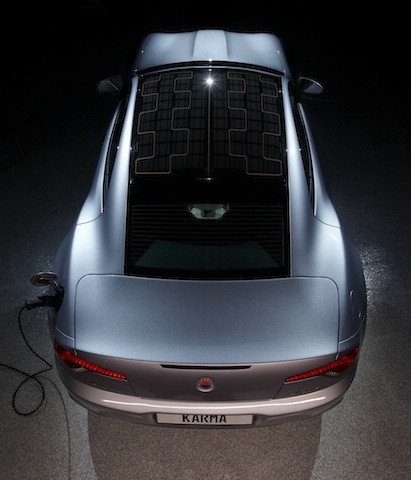 The Project Nina cars are expected to be the bread and butter of Fisker’s future product line with luxury vehicles like the Karma making up a smaller percentage of sales. We’ll update as soon as further information is available, stay tuned.